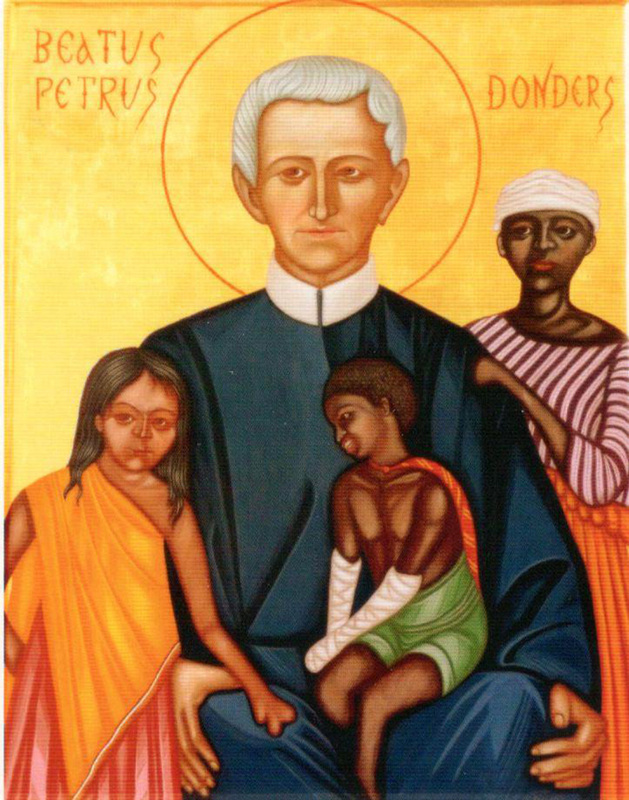 During this month of January, we celebrate the feast of Blessed Peter Donders on the 14th. Peter Donders was proclaimed Blessed by John Paul II on May 23, 1982. 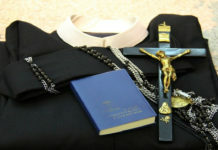 As we can imagine, there are a lot of technical elements in the process of canonization. Besides the approved miracles, one important element in the process of canonization is that of popular devotion to the person. I believe that this agenda of promoting popular devotion is one that all of us as the Redemptorist family should undertake, not only to promote one of our own but also because of the valuable contribution and inspiration that Peter Donders´ life offers to society and to the Church. As I read the volume of Redemptorist Spirituality (# 9, in Spanish) on Peter Donders, it struck me that a dimension that we can use, and also alluded to by the coordinator of this volume, Father, now Bishop, Noel Londoño, C.Ss.R., is the Christian call from baptism to be prophets in the midst of human realities. Over the course of the decades and centuries after the European contact, Latin America underwent sweeping cultural and political changes that would lead to the independence movements of the 19th century and the social upheavals of the 20th century. Peter Donders was born in 1809, the beginning of the 19th century. He arrived as a missionary to the Dutch colony of Suriname in 1842 and brought with him the current political, social, moral and ecclesial thought of the times in Europe, in which justice and liberation were certainly central themes. 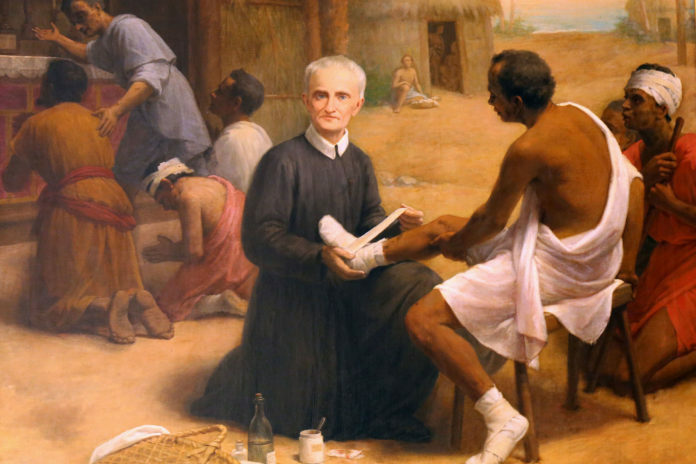 Popularly, we usually limit our references to Peter Donders as an apostle to lepers, which is justified seeing that he labored for 28 years, with some interruptions, in the place, Batavia, created specifically to receive the lepers in the region. He died among the lepers on January 14, 1887. But Peter Donders was also in contact with diverse human groups of persons exploited and enslaved, among them about 40,000 slaves concentrated in 400 colonial establishments. In his efforts of evangelization, he was frequently confronted with resistance on the part of the “Christian” colonizers who resisted his entering the plantations, even to administer the sacraments. In a matter of fact, before his death (1887), in 1863 slavery in Suriname was abolished. 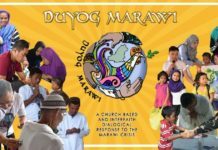 What these historical missionary and ministerial facts point out is the importance of human liberation and justice in the work of evangelization. Peter Donders was often the spokesperson for the Redemptorist community in favor of all those who were being exploited, enslaved and marginalized. These included, besides the abandoned and marginalized lepers, the native Indians, and the slaves. 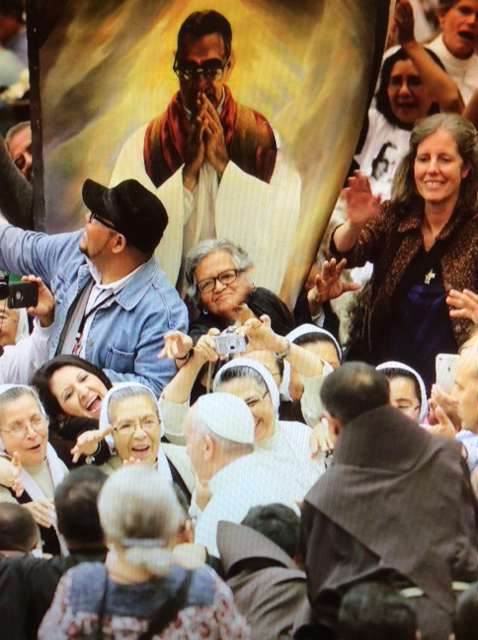 It seems to me that a strong promotional focus for devotion and recognition of Peter Donders is to place him among the figures in the historical movements of justice and liberation in Latin America, that is, as a pioneer alongside the list of prophetic canonized figures that culminate in the 20th century with Bishop Oscar Arnulfo Romero (canonized on October 15th, 2018). An example of Peter Donders’ prophetic voice is his letters, which the coordinator of the volume of Redemptorist Spirituality dedicated to Donders, indicates can be placed among the anthologies of the prophetic testimonies of the Church in Latin America. In his letters, Peter Donders reflects the following traditional prophetic elements: a prophetic vision of the reality of Suriname, the denouncement of those responsible, prophetic reaction to these injustices, the hope of liberation and the impossibility of an authentic evangelization without this previous liberation. These were strong words in his day as they would be for today. May Peter Donders be our inspiration so that we be filled with his prophetic spirit and break the barriers of fear and anxiety that keep us from living the prophetic dimension to which our charism calls us as followers of the Redeemer.